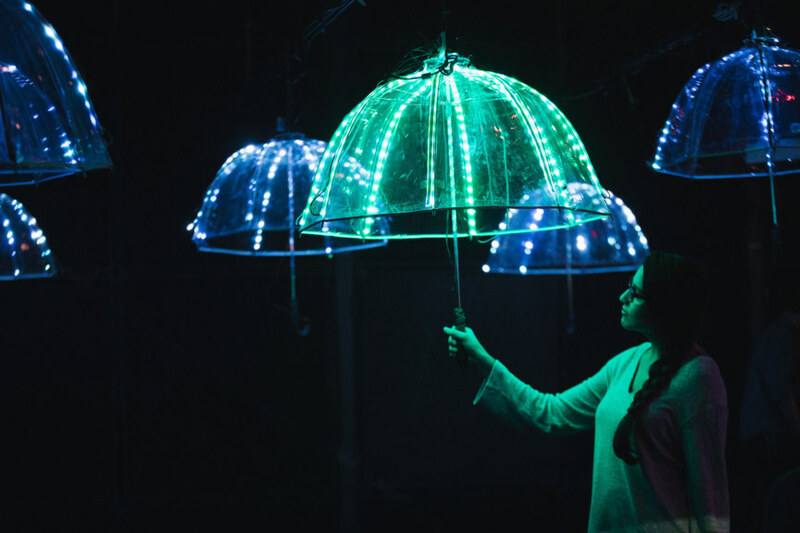 The Peach Blossom Land is an interactive art installation where the audience can achieve “utopia” by manipulating hanging umbrellas. 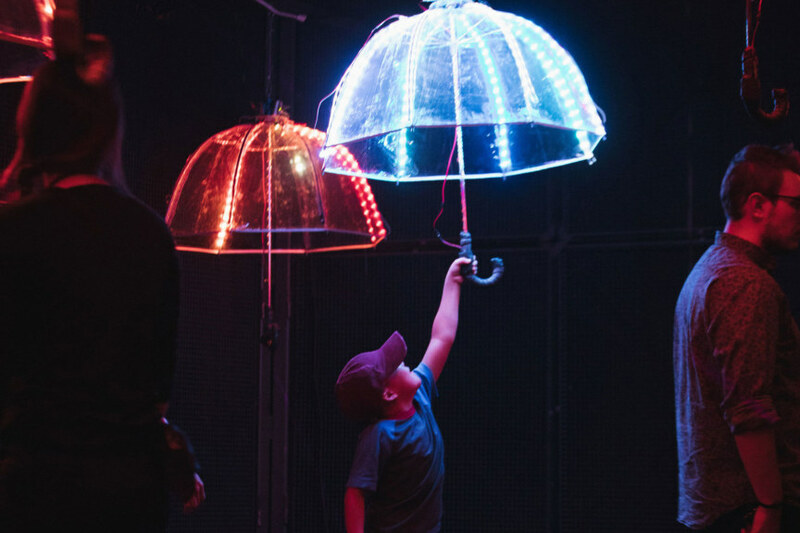 The audience interacts with the hanging umbrellas by triggering sensors attached to the handles. 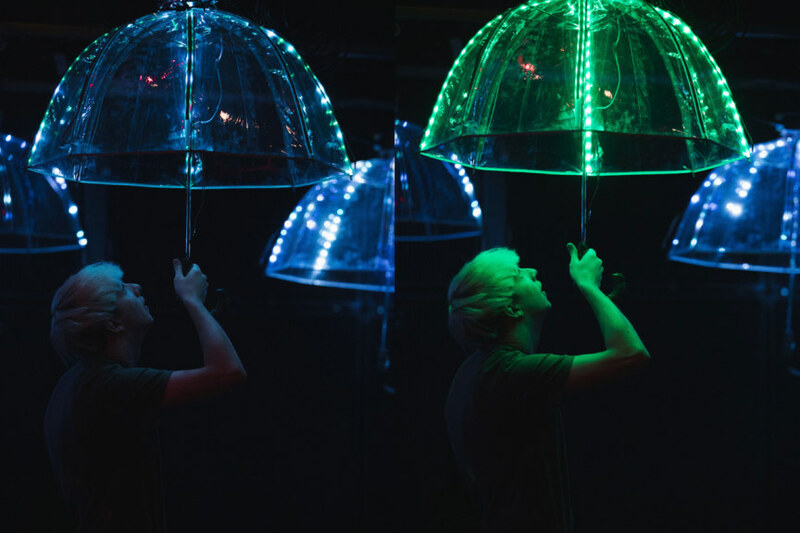 LEDs that are affixed onto the umbrellas change color when certain conditions are met through the efforts of the audience. 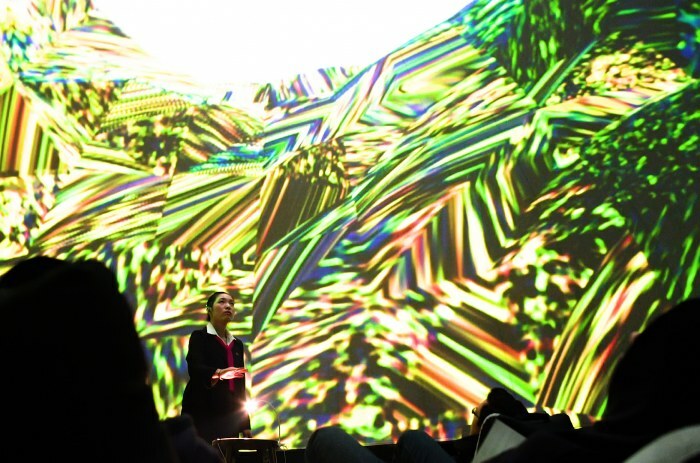 Furthermore, the audience can also affect the display of audiovisual effects being projected throughout the installation. 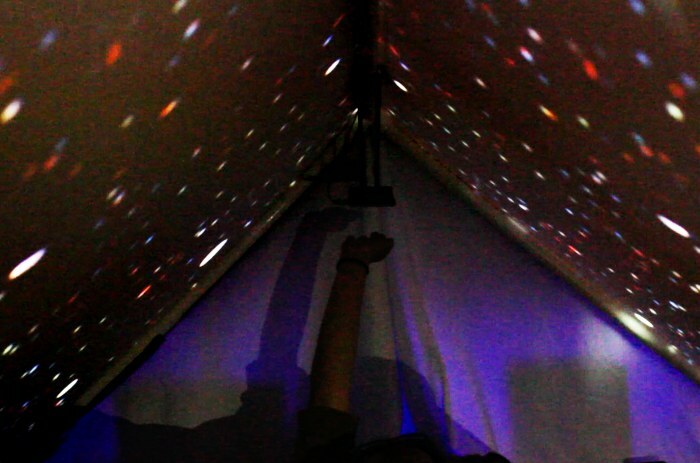 A coded program provides the scenarios to be displayed – the audience is initially put into a dire situation that can be rectified by working together. class="pirenko_portfolios-template-default single single-pirenko_portfolios postid-3178 samba_theme samba_left_nav samba_left_align samba_responsive wpb-js-composer js-comp-ver-5.4.5 vc_responsive"